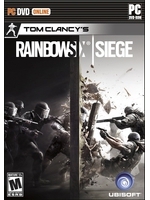 SAN FRANCISCO – November 10, 2016 – Today, Ubisoft® announced that Operation Red Crow, the fourth major update for Tom Clancy’s Rainbow Six Siege will be available on November 17 for Xbox One, Sony Playstation®4 computer entertainment system and Windows PC. In line with the studio’s commitment to provide new post-launch content for the game and complete the Year One road map, this content update introduces a free new map and new gameplay features. 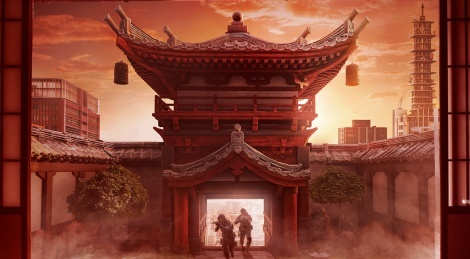 Once again two new Operators will be available for Season Pass holders on November 17 and for all players on November 24. Ubisoft also announced that Tom Clancy’s Rainbow Six Siege will be available for free from November 11 to 13, for the first time on PlayStation®4 system, as well as on Windows PC via Uplay and Steam. • Hibana is an expert at gaining entry in high risk areas thanks to her explosive leadership on the field. She is equipped with the SuperNova and Type-89 as primary weapons, allowing for rapid motions and providing precise room-to-room clearings. • Echo, a tactical and technology-driven Operator, is also equipped with the SuperNova, along with the MP5SD4 as primary weapons, allowing him to proceed rapidly and precisely in Close Quarter Battle contexts. The Rainbow Six Pro League Season 3 Finals will be held on November 12 and 13 at the ESL Studios in Katowice, Poland where the top Tom Clancy’s Rainbow Six Siege players will gather and compete for a $150.000 total prize-pool. wonder why xbox is getting shafted on the free weekend promotion? maybe less number of players?